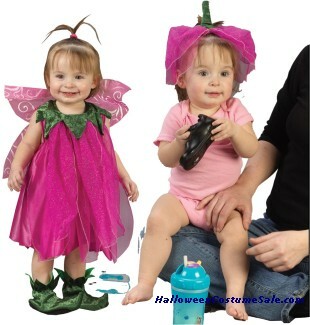 If you want to dress up like a fairy, our cute collection of fairy costumes along with the fairy wings will give you real angel look. 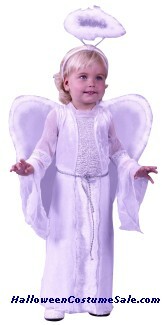 We offer you various types of angel costumes such as angel of death teens, gothic fairy, graveyard fairy, naughty angel, vamp fairy etc. 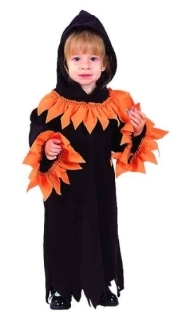 to perfect wardrobe for Halloween nights or Christmas parties or even theme parties. Where do fairies come from? 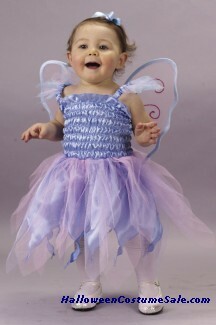 Geoffry Hodsin characterizes one well in his book “Fairies at Work and Play.” He recalls meeting a golden fairy: "She is decidedly fair in colouring, full of laughter and happiness, very open and fearless in expression, and is surrounded by an aura of golden radiance in which the outline of her wings can be traced. There is also a hint of mockery in her attitude and expression, as of one who is enjoying a joke against the poor mortals who are studying her." Some of the fey are fairly similar, no matter where in the world you go and not all have wings. 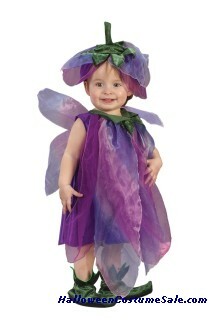 "Garden" or "flower fairies" are small, creatures with tiny fairy wings. Usually fairly delicate in appearance with the same type of energy as a hummingbird, if you've ever encountered one. 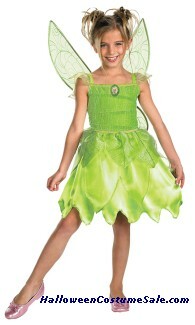 They tend to be translucent, sort of shimmery, which is where we get the Tinkerbelle syndrome. If you look around out in the woods, or in your garden, you may see them as shimmering balls of energy. 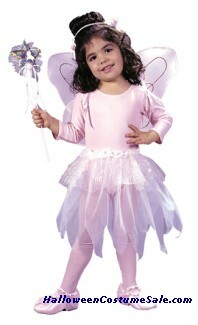 There are also the Air or Wind fairies who are really big, like 50 feet tall, with huge fairy wings. They look a lot like the traditional Christian depictions of angels. 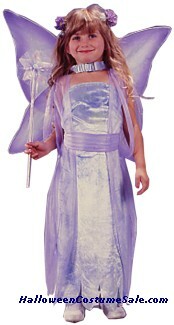 Earth fairies look like small dirty brown children. They have a decidedly Native American look. Dryads are another type of fairy, although they belong in another category altogether. Dryads are the spirits that live in trees, not the tree itself which would be the Deva. Dryads can walk around and may move from tree to tree, with the favorites being Willow and Oak. The Druids are said to have heard the Dryad's Song and were thus inspired. 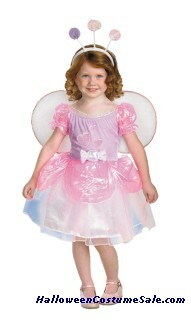 We offer almost every type of fairy costume to dress up as during Halloween. 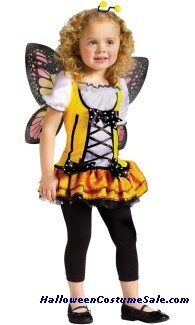 Feel free to browse our site to find the fairy costume that matches you! 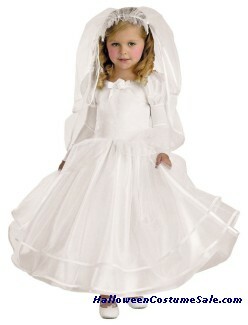 Some of our costumes are Angel of light, angel of death teens, gothic fairy, graveyard fairy, naughty angel, vamp fairy etc. 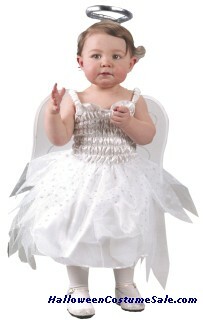 Apart from Halloween nights, you can wear them in Christmas parties and theme parties. 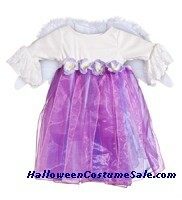 You will enjoy wearing angel and fairy costumes. 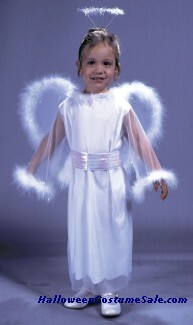 Many strange ideas exist about angels and angel wings. Most have no basis in the Christian Bible. However, the Scriptures contain about 300 references to angels. 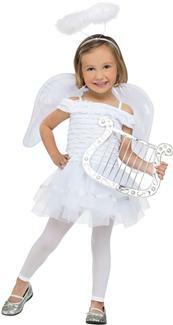 The word angel comes from a Greek term meaning "messenger." Thus, in the Bible, we usually see them as supernatural, heavenly messengers from heaven. A few times, the term is applied to men who serve as messengers or spokesmen. The word daemon, in the original Greek sense, meant a guardian divinity or inspiring spirit. A number of their gods could fly, such as Hermes (the Roman Mercury) who had wings on his feet and was considered to be the messenger of the gods. The English word hermeneutics derives from the name of this Greek god, which in its traditional meaning of 'interpreting holy texts' undoubtedly included shades of 'making sense of the words of the gods', so retaining the idea of facilitating a dialogue between above and below. In Greek mythology the idea of human flight crops up a number of times (for instance with the myth of Icarus, who not only learned to fly but whose ambition took him much too near the sun when he flew...). Greek thought was very inventive on just about every level but there is little doubt that Greece too owed an immense debt to the cultures of Babylon and Egypt (in particular) that preceded it. One aspect of iconography that may be of special interest to an angelologist looking at the culture of ancient Greece is the image of the halo that Christian artists and sunday-school attendees have come to know and love. In Greek art the sun-god Helios was often depicted with a halo, that is, a radiant circle or disk surrounding the head in an attempt to represent spiritual character through the symbolism of light. In Roman times self-applauding emperors were sometimes also depicted with halos. (Because of its 'pagan' origin, however, this convention was avoided in early Christian art). Throughout the Middle Ages, however (by which time presumably the origins of the motif had been forgotten) angels were frequently depicted with circles of golden light surrounding their heads. Interestingly enough the halo is also found in Indian Buddhist art, appearing from the 3rd century AD onwards when it is believed that the motif was brought to the East by Greek invaders. 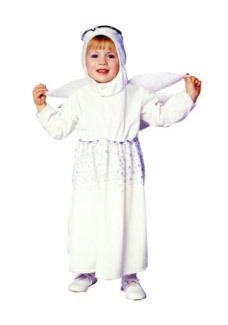 Another idea might be to dress up with angel wings along with a devil. Paint your face white all along and wear a fairy dress too, and wear the angel wings too and after that you just wear the two red colored horns on your head. 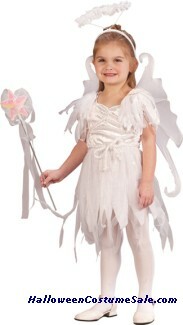 Some of our costumes are Angel of light, angel of death teens, gothic fairy, graveyard fairy, naughty angel, vamp fairy etc. Apart from Halloween nights, you can wear them in Christmas parties and theme parties. 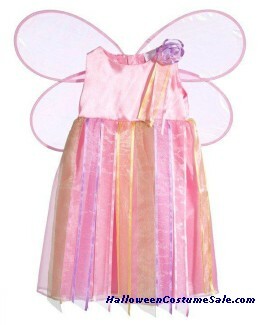 You will enjoy wearing angel and fairy costumes. 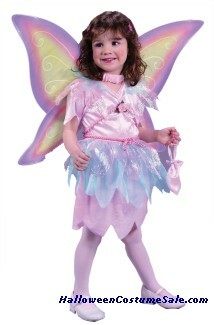 Look and feel divine in our sweet collection of fairies and angel costumes, and choose any one of the costumes like green fairy costume, angel of innocence costume deluxe angel costume and be an angel / fairy yourself.